Recently, there has been a cultural tendency toward a renewed awareness of origins and a fresh respect for traditional values of perfection and quality. What better time to express this reverence for tradition than during the classic family festival of Christmas? Celebrate this special time of the year in style, and in keeping with the highest standards for design and adornment with precision-cut crystal, by decorating the Christmas dinner table with these easy home décor projects! The new crystal cut ''Pegasus'' to create refined angel figurines of delightful grace and immaculate appearance, elegant messengers of your unique style. This classic-style Christmas wreath forms an elegant crystal ornament for decorating your home, Christmas tree, or your gifts to friends and loved ones this Yuletide season. 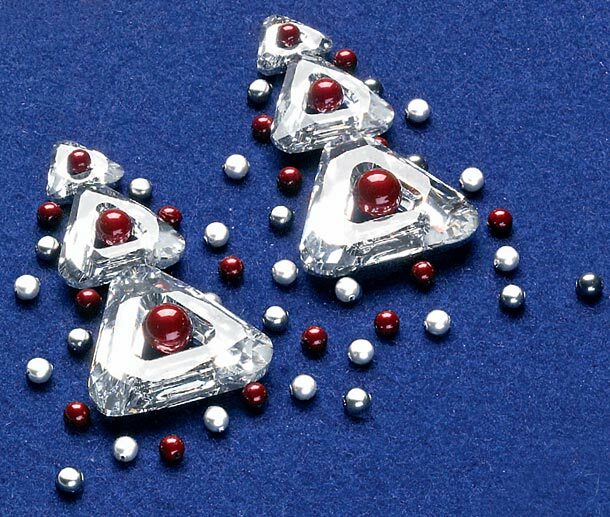 A string a circle of wire around the new Swarovski crystal Star Bead alternating with the opaque lustre of Crystal Pearls accentuating the crystal sparkle in elegant colours such as the new Crystal Bordeaux Pearl--a red splash of poinsettia, whose original German name (''Weihnachts stern'') meant ''star flower''. 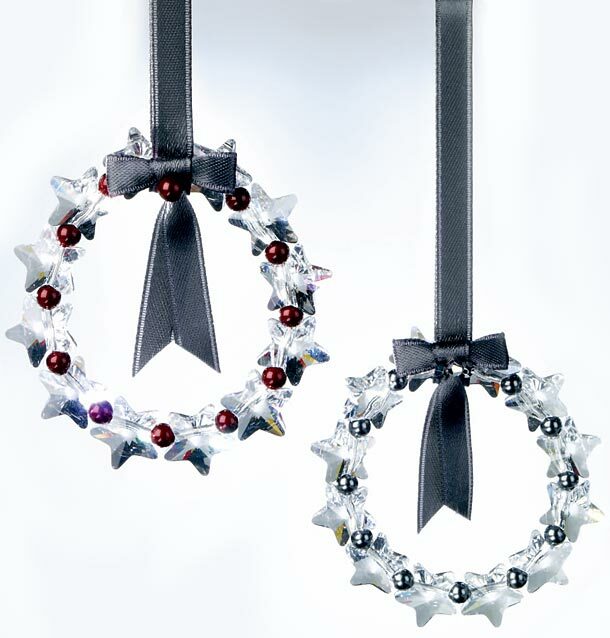 Its silky satin bows give a touch of glamour to whatever you hang them from. Wherever you find this charming treasure of modern chic, flair, finesse and sophistication are never more than a sparkle away. 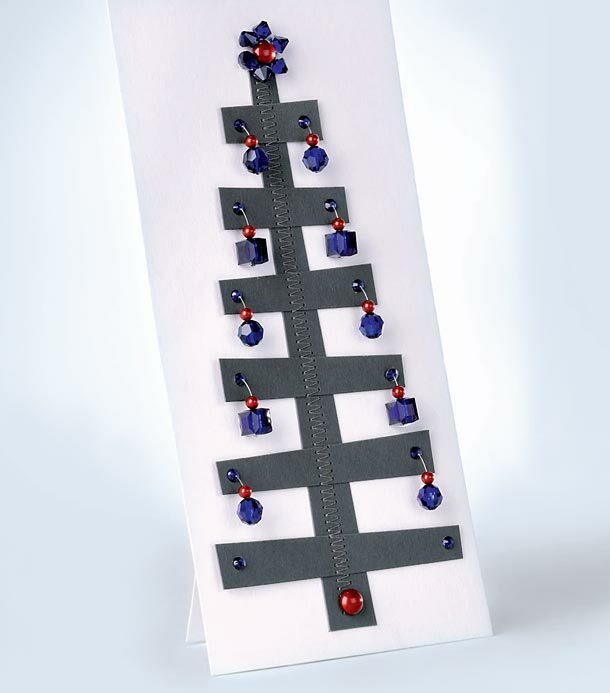 At first glance, this abstract-style Christmas tree greeting card, with its elegant graphic feel, is reminiscent of an Art Deco print. 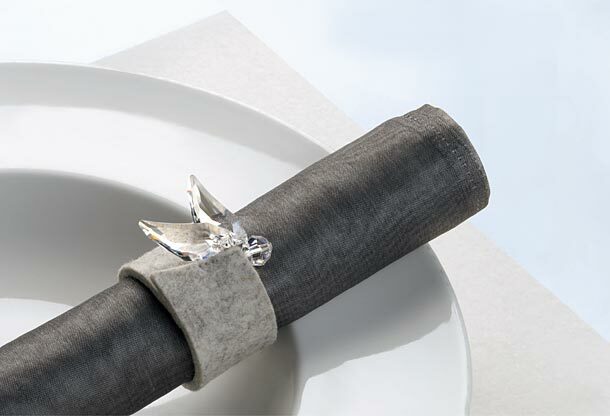 The soft three-dimensional folds of its crisp white paper contrast beautifully with the sharp angles of its outline, and combined with the smooth Crystal Pearl domes, imbue it with a subtle sensuality spiced with just the right amount of Crystal-its to give your Christmas greetings a smart, but undeniably luxurious sparkle. 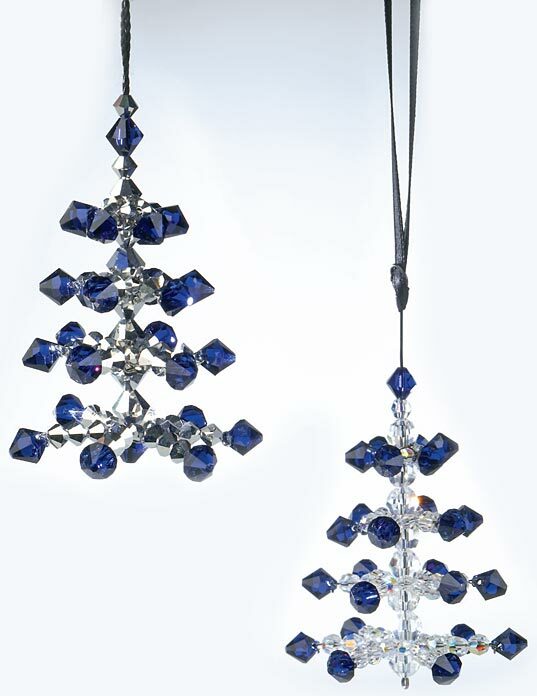 This pristine snowflake-like crystal is wired around a central stem to create a sparkling fir-shaped ornament whose silver branches are tipped with a touch of elegant Dark Indigo, the new crystal colour, conjuring a tree spreading its snow-laden branches against the dreamy backdrop of a starry Christmas Eve sky. This smart sparkling ornament makes a distinguished addition to the family collection of Christmas decorations - a masterstroke of modern style that will be cherished for generations to come. 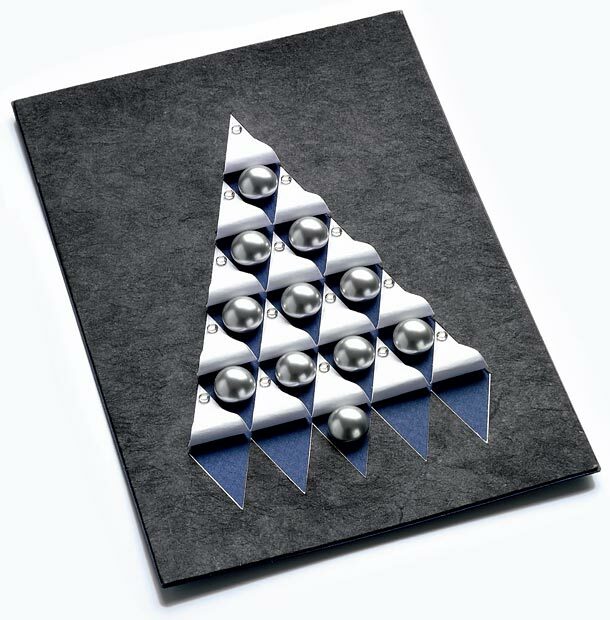 This playfully simplistic Christmas card is composed of cardboard strips pasted in zigzag down a middle seam to create a stylish collage of a fir tree hung with Christmas ball ornaments--forming a charming Christmas card that pays gleeful homage to both modernity and tradition without being overly sentimental. Delightfully upbeat and yet firmly rooted in tradition, this card fuses handmade charm with high-end sophistication. With etiquette and manners making a bold comeback, what better way is there to ensure a perfect Christmas celebration and enhance yuletide spirits than with an immaculately set dinner table? This easy-to-make textile application is dotted with Christmas trees made of triangles of sparkling crystal and sprinkled with a sugary scattering of Crystal Pearls that conjure traditional Christmas tree ornaments such as nuts, apples and sweets with seemingly effortless elegance--exuding a sweet air of nostalgia and adding a final glimmer of perfection to seasonal festivities of all flavours.